We are delighted to announce that Roberts Metal Packaging has won this year’s prestigious UK Packaging Awards with its 75ml Softline Extreme Aluminium Jars for “Lynx Clean Cut Look” & Lynx “Messy Look” hair care products. 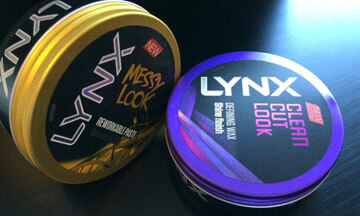 The brief was to supply a 75ml aluminium jar for Lynx’s hair products. Decoration and overall appearance had to complement the various packaging formats in the existing Lynx range. In addition, functionality was important and the packs had to be leak-proof with the lid easy to remove for consumers.